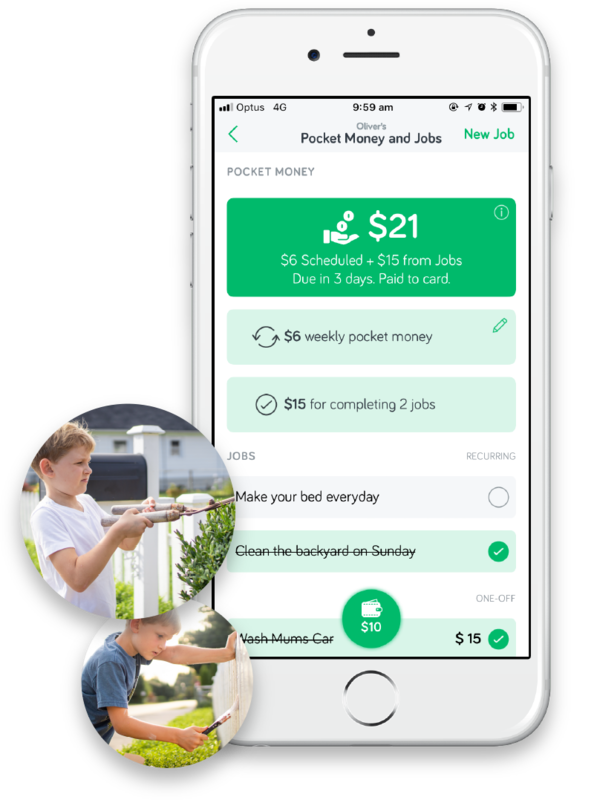 Set up automatic pocket money payments and give your children the freedom to make their own spending and savings decisions. Turn on push notifications for special events and you can lock, unlock and order replacement cards from within the app at any time. Transfer money instantly or set an allowance. 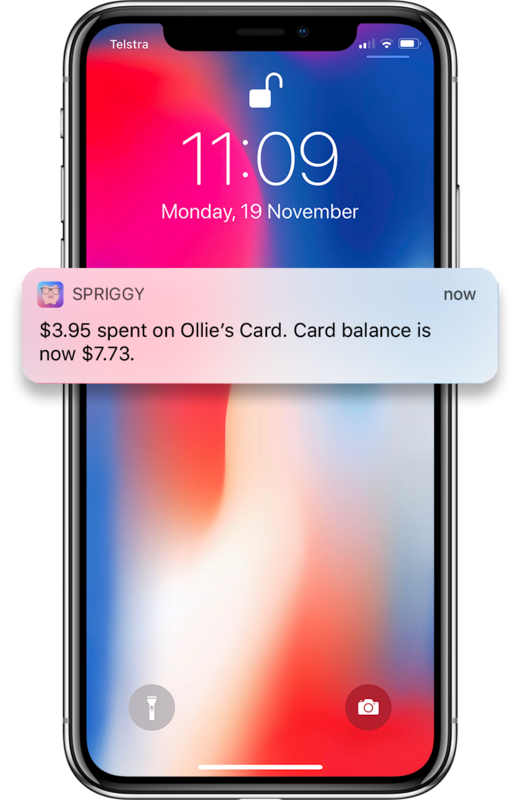 Real-time notifications for card transactions. Lock and unlock card or order a replacement. 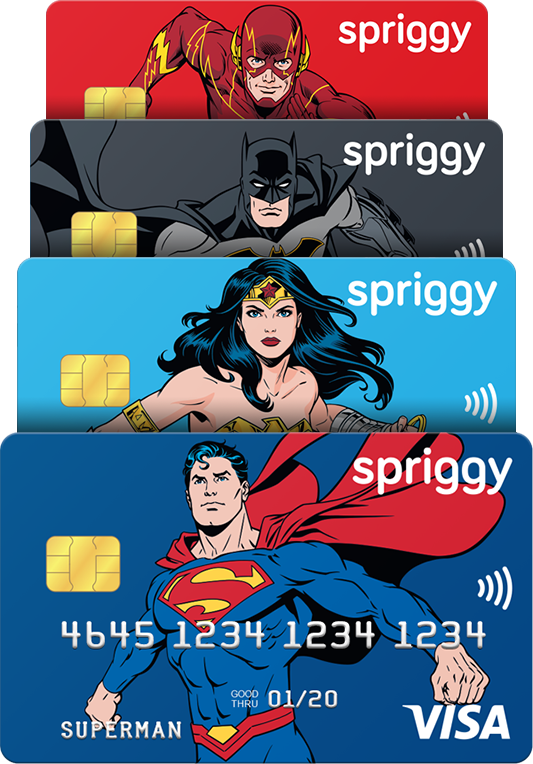 A prepaid card gives 6-17 year olds the freedom they need to learn vital money habits. While encouraged to use their visual savings goals, kids learn how to balance earning, saving and spending from when they first engage with money. 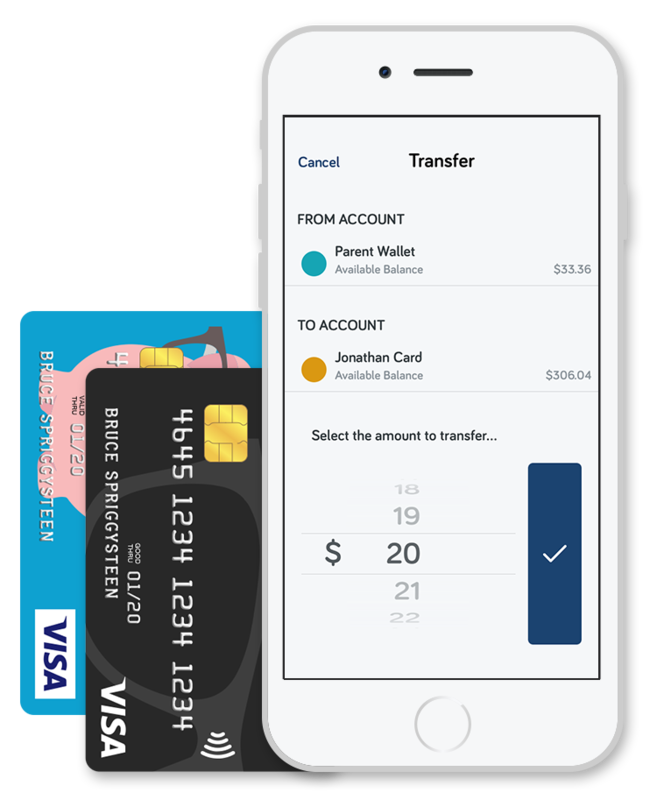 Online, app store and Visa Paywave purchases. Save intelligently with visual savings goals. Available for any child from 6 to 17 years old. 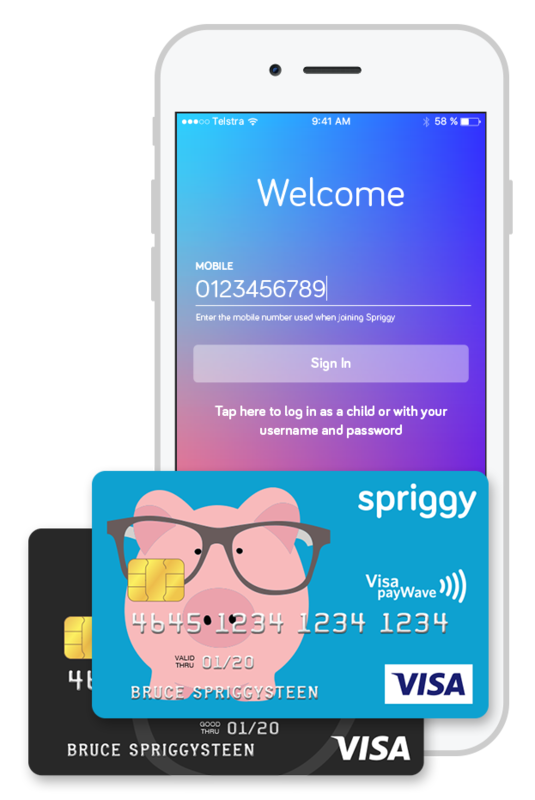 What makes Spriggy so important? Financial literacy is difficult to teach without practice. That's why we're giving parents a tool that simplifies financial education while delivering an experience families can enjoy. No homework, no nasty surprises, just practical technology that works. We understand this concept might be a little new to you. That's why we're giving you a month to try it out for free! 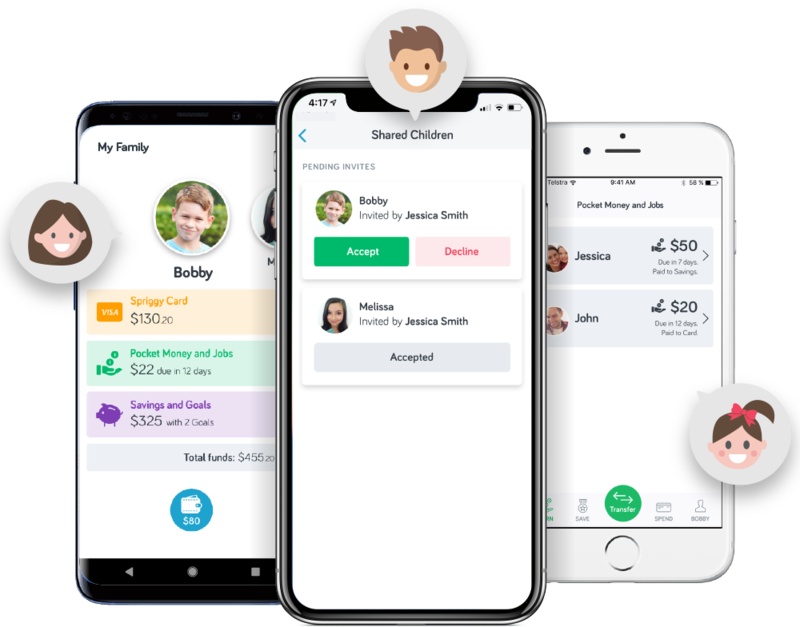 Discover how it works, ask us questions and learn money with your kids.